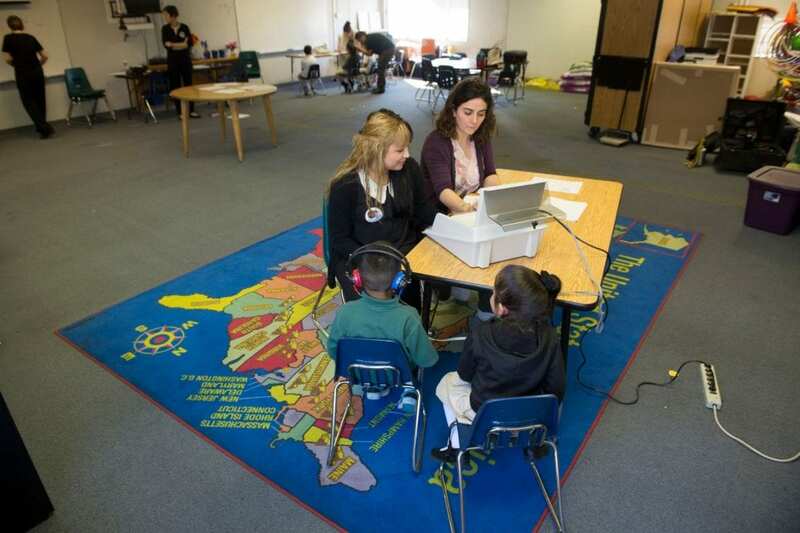 SJSU Lurie College student receives guidance on administering a hearing test. Reports in recent years, such as one from the Learning Policy Institute, a nonprofit and nonpartisan research center, have highlighted how recruitment and retention challenges are resulting in national teaching shortages and how teacher residency programs can address these challenges. In light of that, Lurie College of Education faculty David Whitenack and Lisa Simpson recently applied for and were awarded a Teacher Residency Grant through the California Commission on Teacher Credentialing to create opportunities for Lurie College students to complete special education, STEM, and/or bilingual education residency programs. Dr. Whitenack and Dr. Simpson were one of 33 grant recipients and have established a partnership with Franklin McKinley School District to host the residency program. This grant will create opportunities for 10 Lurie College students to participate in and benefit from the year-long residency program on their journey to becoming impactful educators! Photo by Karl Nielsen – https://www.karlnielsenphotography.com/. At Lurie College, we want to ensure that students are aware of the resources available to them so they can continue to pursue equity and excellence in education, which is why we partnered with the SJSU Scholarships Office to host an info session for students to learn about how to apply for SJSU and Lurie College scholarships for the upcoming year. 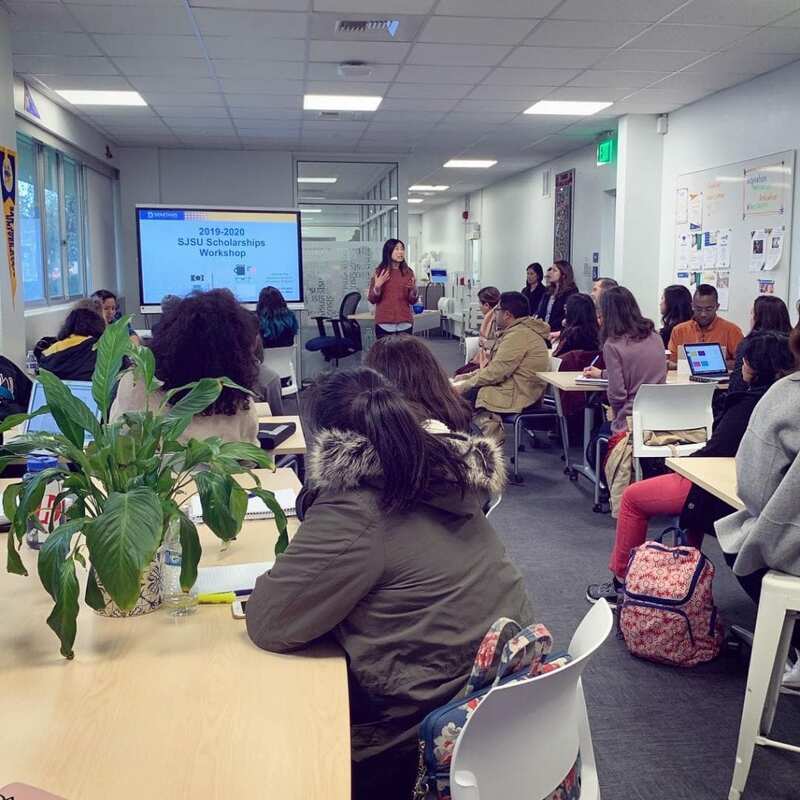 This week, about 40 students attended the session to receive instructions and insights from staff in the SJSU Scholarship Office and faculty on the Lurie College Scholarship Review Committee. Thanks to the generous support of donors, Lurie College has over $200,000 available to provide to current and incoming students for the 2019-2020 academic year. Students who are interested and eligible to apply can visit the SJSU Scholarships webpage to learn more and submit an application by Monday, April 1! Learn more about the SJSU Lurie College of Education at sjsu.edu/education. Photo by Brian Cheung Dooley. The SJSU Lurie College of Education prepares Spartans to enhance the quality of education for all students in our culturally diverse, technologically complex world. Visit the Lurie College Linktree to connect with Lurie College on Facebook, Instagram, LinkedIn, Twitter, YouTube, and more! Welcome New Lurie College Director of the Ed.D. Leadership Program, Brad Porfilio! Welcome New Lurie College Faculty Member Kyoung-Mi Choi!